At 13:53 hours on the afternoon of Thursday, April 23rd, 2015 the Freeport Fire Department was dispatched to an extrication at the scene of a motor vehicle accident. 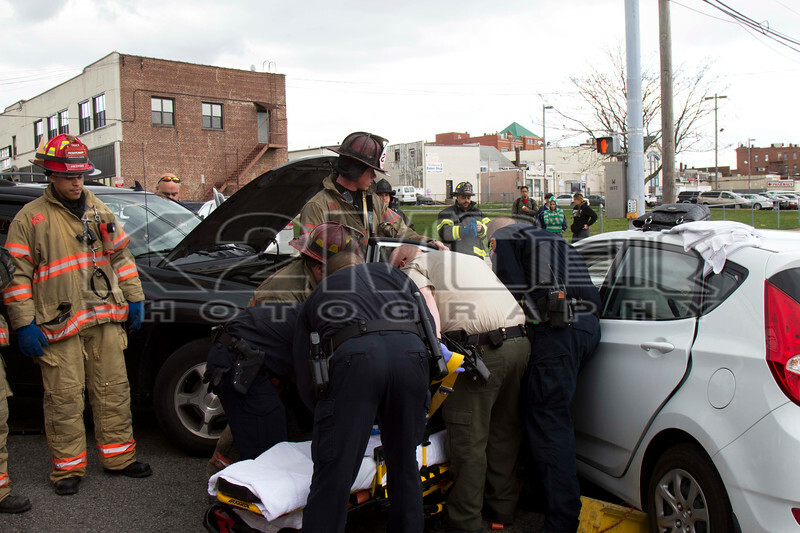 The accident was located at East Merrick Road and Henry Street. Engines 211 and 216 along with Freeport Truck Company, Ambulance 219, and Fire Police were assigned. When units arrived on scene they were met with a two vehicle accident with no extrication required. One person was transported from the scene to an area hospital via Nassau County Police Ambulance. Freeport firefighters secured the autos and were soon released from the scene. All fire department units were under the command of First Assistant Chief Kenny Vancott .